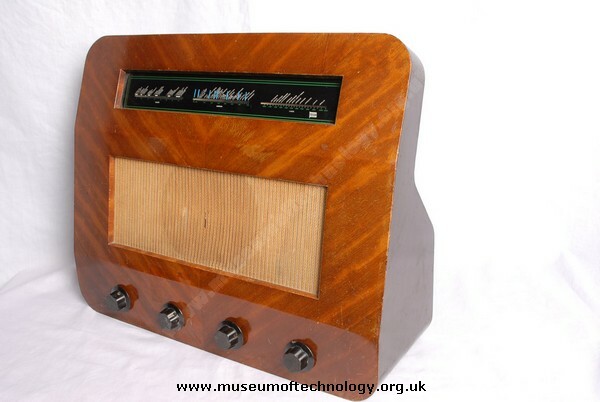 This radio was designed by Eden Minns (who, along with R. D. Russell, was responsible for many of Murphy's strikingly modern cabinet designs). The A122 was one of the 'baffle' series - intended to combine pleasing styling with good acoustic properties. It has a four-valve circuit covering long, medium and short wavebands.